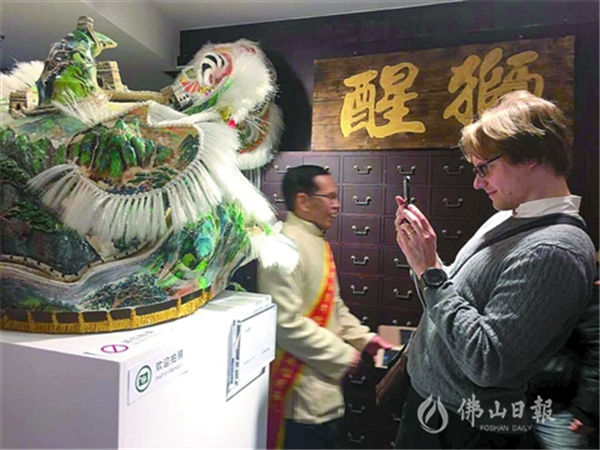 The first art gallery for lion and dragon dance was landed in Chancheng District, Foshan. Lion head is the intellectual property and the cultural symbol of Foshan. In recent years, the government has encouraged Foshan cultural development and intended to promote museum development. The Lion and Dragon Dance Art Gallery is located in Lingnan Tiandi. The gallery covers a land of around 200 square meters and displays approximate 400 artifacts of lion heads ranging from traditional lion heads featuring Liu Bei, to lion heads added with innovative elements such as the lion head for the Great Wall Lion Dance and the lion head characterizing the First Emperor of the Qing Dynasty. Some of the lion heads with traditional Chinese painting style demonstrate the landmarks and folk customs. Others are painted with traditional Chinese pavilions and corridors. All of them are fabulous and exquisite. The gallery provides traditional lion dance performance. 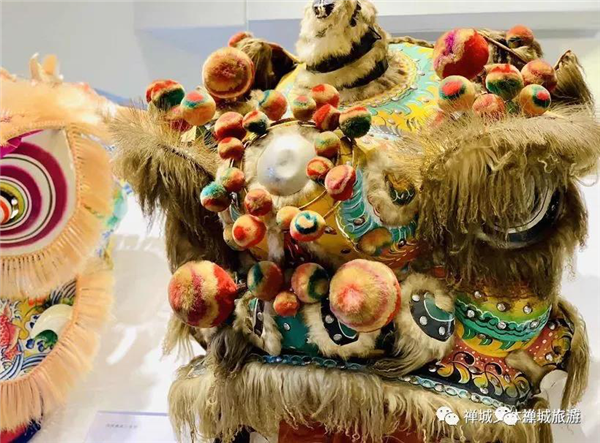 Besides, the gallery also developed lion-dance-relevant outfits and artifacts such as phone protectors, ceramic dolls, hats, ect. What is out of our expectation is that it is a group of young people who are in charge of the design and management of the gallery. 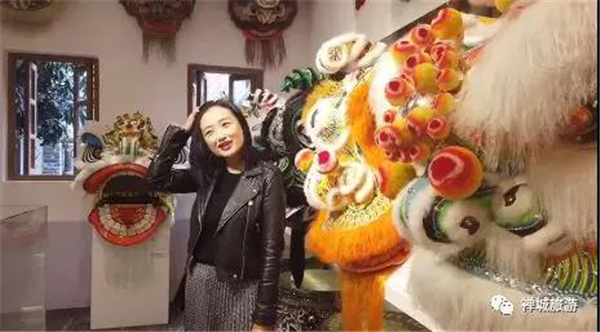 Lu Yongquan, the correspondent of the Lion and Dragon Dance Art Gallery stated that they had been preparing for this gallery for almost two years. During the two years, they had visited different schools of martial arts and world-wide prominent masters in making paper artifacts. The exhibits in the gallery are from various places around the world including Malaysia, Canada and Singapore. Among them, the oldest piece of lion head can be traced back to the 1960s. Lu Yongquan expressed, as a representative figure of Lingnan culture, it is needed to be carried and passed on. 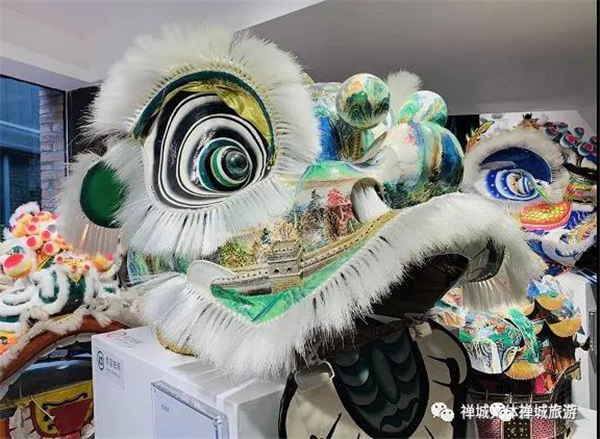 Adding innovative elements in traditional lion dance cultures reactivates the conventional way of art appreciation, therefore, it appeals to more young generations to apprehend Lingnan traditional culture. According to data from local government, there are about tens of thousands of folk collectors with billions of antique collections behind the spotlight remained unknown. Yan Tan, Deputy Director of Foshan Culture and Sports Bureau said Chancheng District is planning to build a platform which would invite folk collectors to launch regular expositions in diverse forms. It is going to be a musume where enthusiasm for art would never end. The lion and dragon heads are on display from Monday to Sunday every 9a.m to 10 p.m.